You’ve found the perfect home, the terms have been agreed upon, the contract has been signed, you’ve chosen a lender and made application for your loan. Now it’s time for the title request to go to the title and closing company. Most lenders will ask you if you have a preference for a particular company. 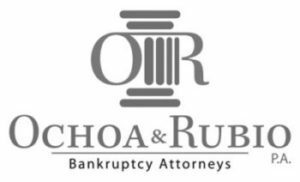 Ochoa Rubio, PA is approved by nearly all of the lenders you would be dealing with. Just as it was your choice of which real estate agent had the most to offer you and which lender offered the best financing. It can also be your choice as to which closing company can provide you with the best service. Ochoa Rubio, PA will work closely with you, your real estate agent and lender to insure tat your closing is an efficient and pleasant experience. Our Title Search Department will conduct a search of the public records to determine who owns the property, who has liens on it and if there are restrictions on how the property can be used by the owner. From this report, we will determine what is required to clear the title so that the lender will obtain an insurable interest in the property. As the purchaser, you will receive marketable title through the purchase of an Owners Title Policy. If required by your lender, we will order a survey inspection from a licensed surveyor/engineer. When we receive the drawing we will review it to determine that all improvements, including buildings and fences, are within the boundary lines and that there are no encroachments for setback lines or easements. A payoff of the sellers existing mortgage will be ordered from their current lender to be collected at closing along with payment of property taxes and any other liens that may appear on the title search in order to clear the title. We will prepare a Commitment for Title Insurance from information found on the title search and fax or email to the lender for their review.The commitment will provide them with pertinent information including the current title holder, a correct legal description of the property, any and all easements and restrictions, and a summary of what is required to transfer title. These requirements usually include the execution of a Warranty Deed, the payoff and release of any liens or judgments, and the payment of property taxes. After the closing, we disburse the remaining funds to the designated parties for the charges collected on the settlement statement, send the original loan closing package back to the lender, and record the appropriate documents such as the Warranty Deed and Mortgage Deed. After the documents have been recorder, we will issue Title Insurance Policies. The Policy will be sent to the lender. This completes the Closing Process.